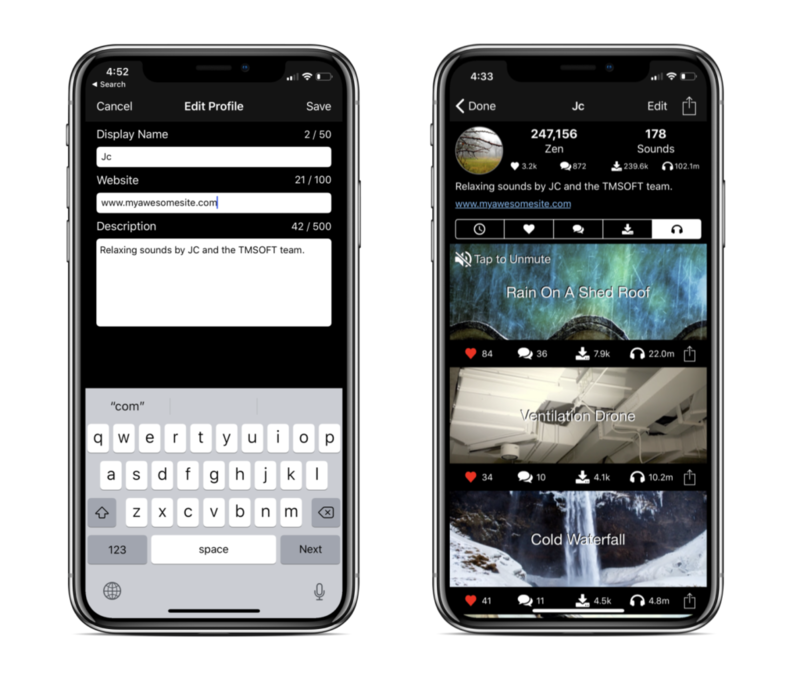 White Noise Market version 8.0 has been released and features “Top Users” to help recognize community members that are making awesome contributions to the White Noise Market. Users have submitted amazing recordings to the Market and we want those users to be easier to discover on both the website and native app. This release improves upon the user profile information with user statistics, bio, and promotion of a website. Download White Noise Market to try these features out now! 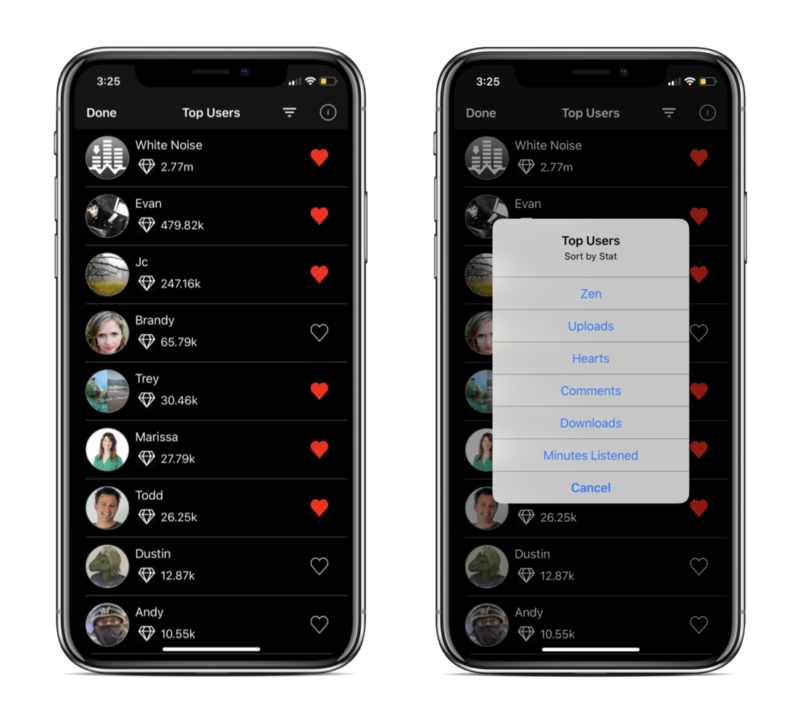 Every user profile page displays statistics of all their uploaded sounds which includes the total hearts, comments, downloads, and minutes listened. Zen is a single number that represents various contributions made by the user. It’s a simple formula, that may change over time, but includes the total number of hearts that user has sent and received, the total number of sounds uploaded, the total downloads of their uploaded sounds, and the total sounds downloaded of others. Zen is the number used to rank users on the Top User leaderboard. The user profile page includes an editable description and ability to share a personal website such as a blog. We’ve had a few musicians submit their own music like Derik and Shelby so adding a link to learn more about the artist is a great idea. We also added a Notifications view which displays all notifications that have been sent to your account. Not loving all your uploaded recordings? You now have the ability to delete your uploaded sounds right from the long-press menu. Be sure to check it out and update your user profile page to tell the community a little about yourself! Don’t forget to include your personal website if you have one. We hope you love the new updates! Download White Noise Market to try these features out today. As always, please feel free to send us feedback by opening up Settings and tapping Send Feedback.